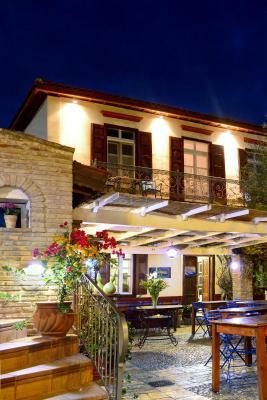 Lock in a great price for Ganimede Hotel, Galaxidi – rated 9.5 by recent guests! Breakfast was wonderful. It exceeded my expectations. 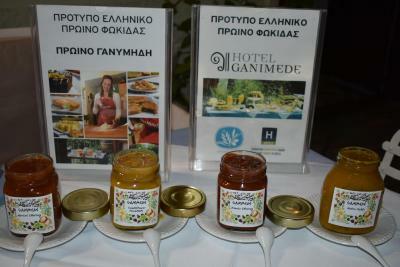 The food was excellent - lots of jellies, jams, curries, etc., to choose from, eggs made to order, fresh tomatoes, etc. The location in the courtyard was excellent - sunny but not hot, lovely courtyard, flowers in bloom flowers at the table. Clean comfortable tables and chairs. Friendly, smiling staff who explained some of the curries, etc., but were not tedious, just helpful. This was a charming hotel! We were delighted and wished we were staying longer. The breakfast was outstanding and much more food than we could eat. We hope we can return in the future. If we are ever in the area again, we will make a special effort to stay here again. The staff was very pleasant. Grest location and exeptional friendly and serviceminded staff! This place has loads character, but with all modern conveniences. Neat and clean. 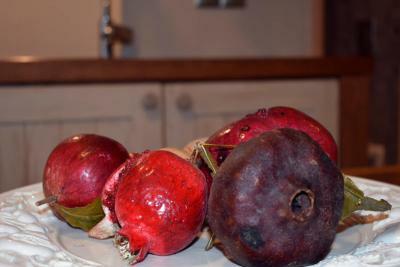 Wonderful aromas of cakes baking waft up from the kitchen. Its a beautiful little place, the staff is great, you get lots of personal attention, and the breakfast is delicious, as advertised. A wonderful place to stay! Very nice stuff, excellent breakfast, marvellous village! We want to come back!! 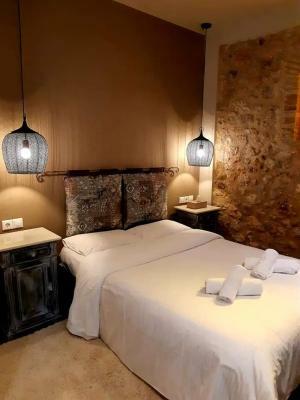 This charming small hotel provides the kind of unique experience and quality that is fast disappearing from the world of travel. 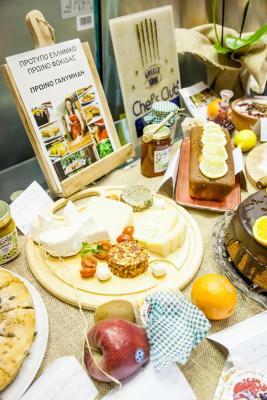 The lovely owner Chrisoula greets you like a family member and makes the most delicious breakfast of homemade treats: an array of unusual preserves and chutneys, yogurt, fresh-squeezed juice, coffee, cakes, breads, and more. 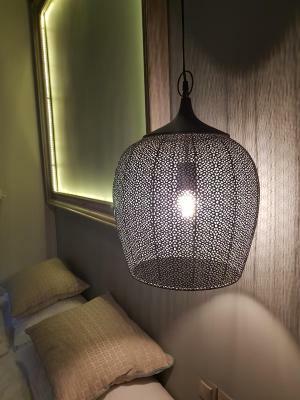 The rooms are large, comfortable, tastefully decorated, and spotless. This is really a 5 star hotel with prices so affordable, I think Chrisoula should raise her prices! Moreover, the town is so, so charming with wonderful restaurants and a beautiful little harbor with boats--a perfect place to enjoy a leisurely stroll. Signs to getting here were well-presented on different streets. The part of the hotel we stayed in was more than 100 years old and beautifully presented in terms of furniture and fixtures. We slept on a vintage metal bed that was sturdy and comfortable. Very thought out. The reason I chose this place because of the pictures of an elaborate breakfast. And I wasn't displease. All jams and chutneys and some specialties were made by the owner. Even the scrambled eggs were fantastic. The lemon curd was great. And thanks for the filtered decaf coffee. It was like the real thing. Nice attention to detail, good location. Screens on windows, nice bed, balcony. Charming old building, friendly host. 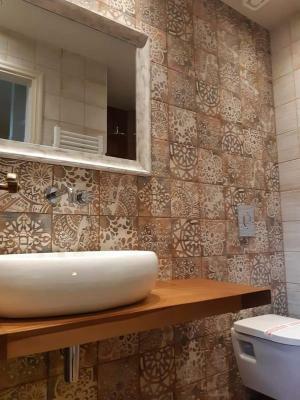 Ganimede Hotel, Galaxidi This rating is a reflection of how the property compares to the industry standard when it comes to price, facilities and services available. It's based on a self-evaluation by the property. Use this rating to help choose your stay! 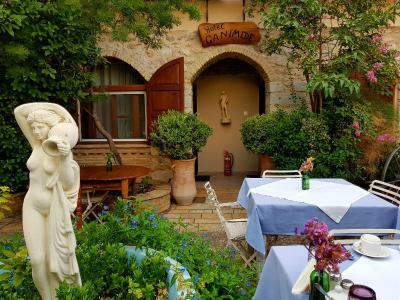 Delightful Ganimede Hotel is housed in a 19th century house with an beautiful garden and patio. All rooms feature free Wi-Fi. The main port is 650 feet away. 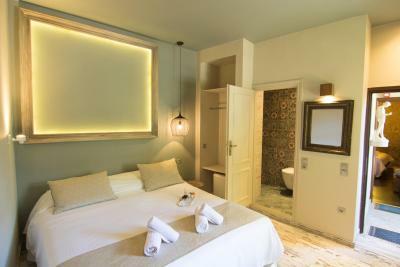 Ganimede Hotel is set in a quiet part of Galaxidi, which is a beautiful ancient town on the Gulf of Corinth, near the archaeological site of Delphi. 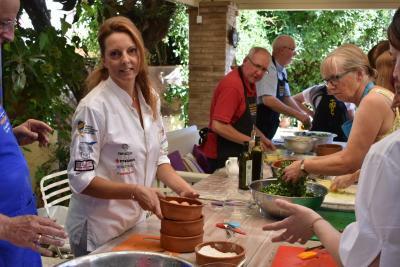 Hotel Ganimede offers great hospitality to its guests. All rooms feature modern comforts and amenities such as air conditioning, heating, a refrigerator and safe. 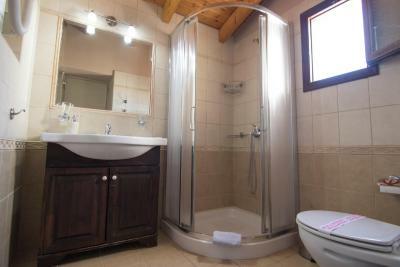 The bathroom includes toiletries and a hairdryer. Some offer a kitchenette. 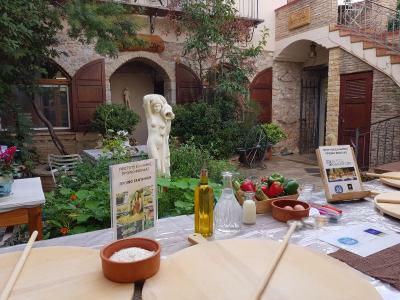 An awarded Greek Breakfast including locally sourced products and home-made marmalades and delicacies is served in the flowery courtyard or indoors by the fireplace from 08:00 to 10:30 daily. 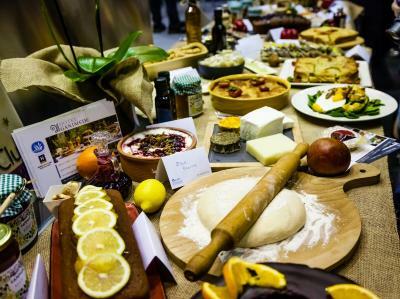 It includes among others a wide variety of fresh bread, savory bacon-cheese bites, homemade marmalades and fresh eggs. 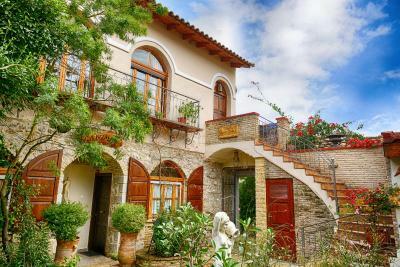 The property can organize excursions in the area of Fokida and Delfi. Other activities organized at the property include scuba-diving, boat trips with a catamaran, fishing, snorkeling, cooking classes and local food tasting, while babysitting services are provided upon charge. When would you like to stay at Ganimede Hotel, Galaxidi? 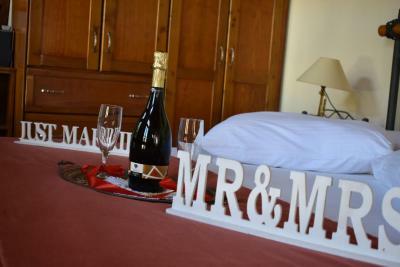 Spacious room with romantic-style decoration and traditional furniture. Rooms offer either garden or Galaxidi views. 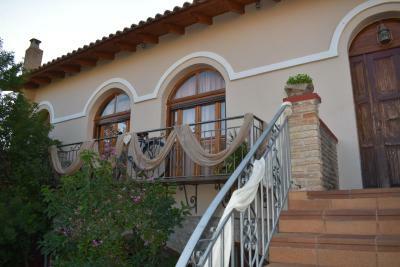 Opening to a balcony, this spacious room is fitted with romantic-style decoration and traditional furniture. 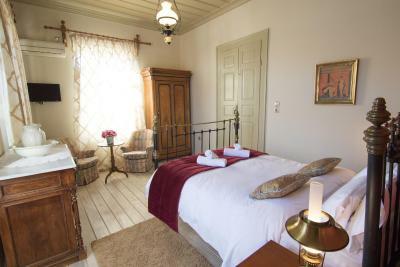 Featuring traditional maritime decoration, fireplace and kitchenette, this suite also has an hydromassage shower and it is fitted with an attic. Located at the first floor, it offers bay windows. Spacious accommodations featuring 1 bedrooms and kitchenette. Overlooks the garden or the scenic town of Galaxidi. Please note that there are no steps in this room type. Spacious accommodations featuring 1 bedrooms and kitchenette. 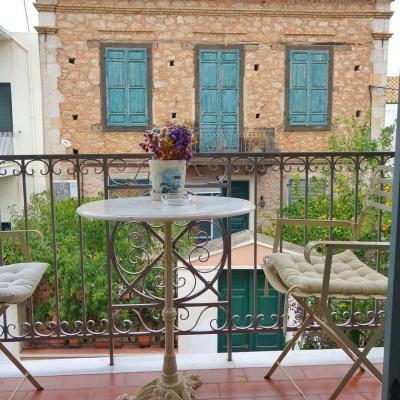 Overlooks the garden or the scenic town of Galaxidi. Air conditioning, a TV and free WiFi are provided. 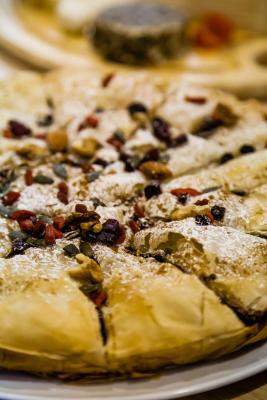 House Rules Ganimede Hotel, Galaxidi takes special requests – add in the next step! Ganimede Hotel, Galaxidi accepts these cards and reserves the right to temporarily hold an amount prior to arrival. The Cocktail Garden Bar operates from April until October. 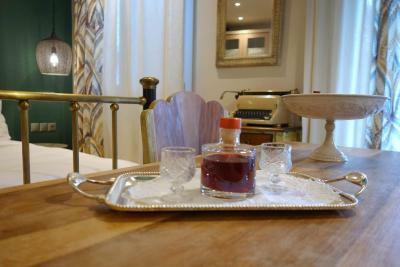 Guests who book without breakfast will receive a free hot drink and cake. Please inform Ganimede Hotel, Galaxidi of your expected arrival time in advance. You can use the Special Requests box when booking, or contact the property directly using the contact details in your confirmation. we were put in avery nice suite with even a small kitchen. Very convenient with families. The hotel is at a walking distance from the centre of Galaxidi. Fantastic breakfast and very nice host. We really enjoyed our stay there. We did not like our room the first night as the bed was too hard; the owner moved us into a studio apartment which was excellent—-well appointed and spotless. Breakfast was great. The only things I did not like were that I didn't get to stay long enough. I stayed not enough nights, I got there late the first the night and had to leave fairly early the last morning. Finally, I don't like that I haven't already scheduled to stay again. Very kind and friendly hosts! 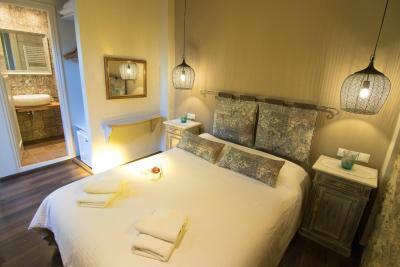 Lovely room overlooking the courtyard and a wonderful breakfast full of homemade delicious traditional greek foods. I would highly recommend Ganimede to anyone wanting to stay in that area of Greece. Breakfast was as good as the reviews ... great location. I was travelling with my adult daughter who loved this place - her favourite in mainland Greece. Chrisoula is a welcoming host and we would stay here again should we ever be fortunate enough to be back! The breakfast lives up to the expectations! Service was super friendly. We will be back! Lovely quiet location walking distance to everything. The breakfast was amazing! We came for 2 days, but loved it so much we stayed for 4. Very relaxing.